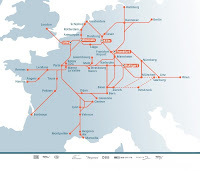 Ok, if they can connect all of Western Europe with high speed rail, why can't we have a decent commuter rail system in Wisconsin? Huh? Friday, March 5, from 4 to 6 p.m. at La Crosse City Hall, 400 La Crosse St., City Council Chambers.